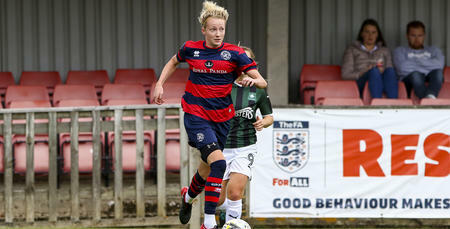 QUEENS Park Rangers Women ran out 3-1 winners against Gillingham Ladies on a glorious Sunday afternoon at Honeycroft. 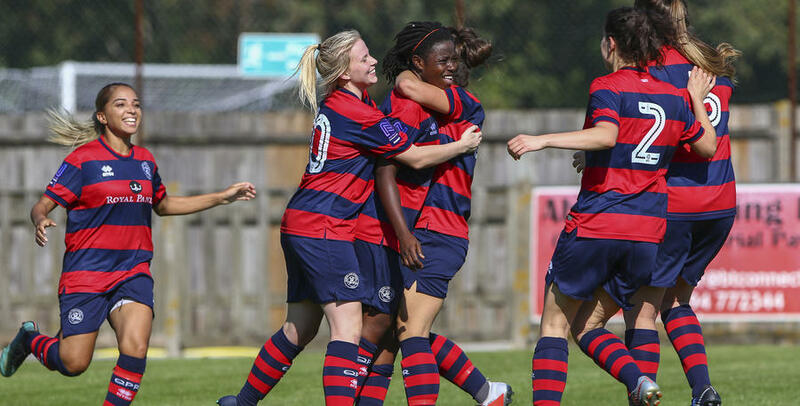 Two goals from Courtnay Ward-Chambers and a wonderful strike from Sue Kumaning ensured Rangers progressed into the next round of the FA WNL Cup. Right from the first whistle the R’s were the more threatening side, with their pressing game having a positive impact. Ward-Chambers had the first real opportunity of the game, but her effort was well saved by Courtney Shancy. As the first half developed QPR continued to dominate possession and started to create numerous opportunities. In the 19th minute Kasha Petit made a dazzling run through the heart of Gillingham’s defence, for the ball to find its way to Ward-Chambers who converted expertly to give Rangers a deserved lead. The opener encouraged Rangers further, as Chantelle Lawrence and Whitney Locke both had chances before half-time to double Rangers’ advantage. 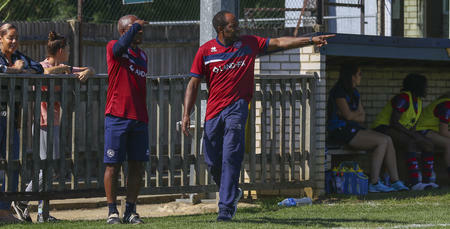 Martino Chevannes’ side continued the second half just as well as they had finished the first. Mara DeLuca initiated a wonderful team move, linking up with Ward-Chambers who picked out Lawrence on the edge of the box. The only thing lacking was the finish, but Rangers’ confidence was growing. 20 minutes from time Kumaning unleashed an unstoppable long-range effort, which flew past the helpless Shancy in the Gillingham net to double the R’s lead. 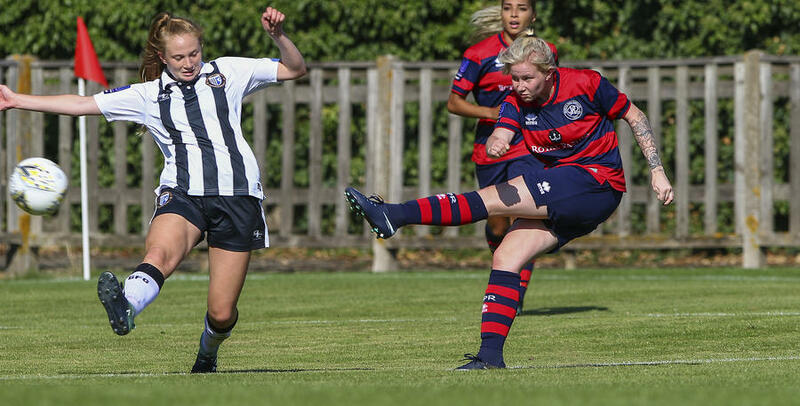 The two-goal cushion didn’t last long, though, as straight from the re-start Gillingham attacker Maddie Farrand pulled one back for the visitors against the run of play to create a nervy end to the game for the R’s. Ward-Chambers had a long-range free-kick which could have put Chevannes’ side out of sight, but her excellent effort clipped the top of the crossbar. As injury time approached Rangers were defending well and with only seconds remaining the R’s were able to put together their best attack of the game. Locke picked out Ward-Chambers who finished from the edge of the box to seal the win for QPR. Rangers’ next fixture is away to Cardiff City on Sunday 9th September. 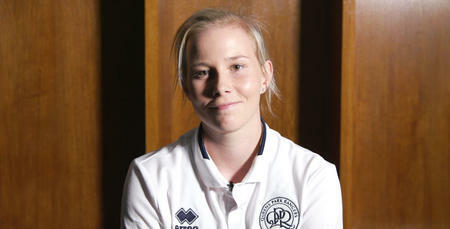 QPR Women: Kasirye, Jordinson, Anes, Bytyqi (Miller 80), DeLuca, Grieve (Chimbima 52), Locke, Kumaning, Lawrence, Ward-Chambers, Petit. Goals: Ward-Chambers 19, 90, Kumaning 70.